I apologise in advance if there is any content that offends. So, I was left with a confused impression of my grandfather’s approach to Aboriginal people in his job. I read the transcripts of interviews with individual policemen about their attitudes towards Aboriginal people, which were conducted after the death of John Pat in custody in Roebourne in 1981, and I’m sure my grandfather didn’t possess the kind of racism evident in those accounts – they were truly appalling. But he was not immune to racism, and I used his response to the relationship of Marianne and Billy to explore how racism operates, even in otherwise decent people. During the writing of the novel, I spent (thank you, Australia Council!) a lot of time in the Battye Library in Perth, reading accounts of Aboriginal and other experiences in the 1960s to get a general feel for the time and the attitudes – including memoirs of policemen who served during that period. I read copies of The West Australian and the Merredin Mercury from the period, to see how Aboriginal people were described, if at all. Most useful was being granted access to the existing occurrence books from police stations in country areas in the 1950s and 1960s, held at the State Records Office – because of my grandfather, the WA Police kindly allowed me to read them. So many of these were destroyed in the late 70s (ironically, my grandfather wrote to the Commissioner to argue for the value of archiving them instead: his pleas fell on deaf ears), but the ones that exist give a fascinating account of individual policemen’s attitudes: the way they described situations involving Nyoongah people gave clear clues as to how they might have treated them in their work, and I was surprised that there was a vast difference between officers, even in the same station. I also learned, in the course of my research, that Aboriginal people could be arrested if they were on the streets of small country towns after 6pm, and that most wheatbelt towns had reserves on the outskirts of town for Aboriginal people, and that even in the 60s there were ‘crow bars’, separate bars (or windows) where Aboriginal people could buy alcohol. To my shame, I had had absolutely no idea about any of that. This entry was posted in Uncategorized on July 18, 2010 by julialawrinsonwriter. Thankyou for that glimpse into the writer's process. I didn't realise how much research had gone into the book, though now that I think about it, it makes sense. You did seem to capture the time and the attitudes – it felt very authentic. It was also beautifully written. thank you so much for taking the time to do this. I am currently doing an essay on 'Bye Beautiful' and this has been very helpful in helping me understand more of yourself and the book. 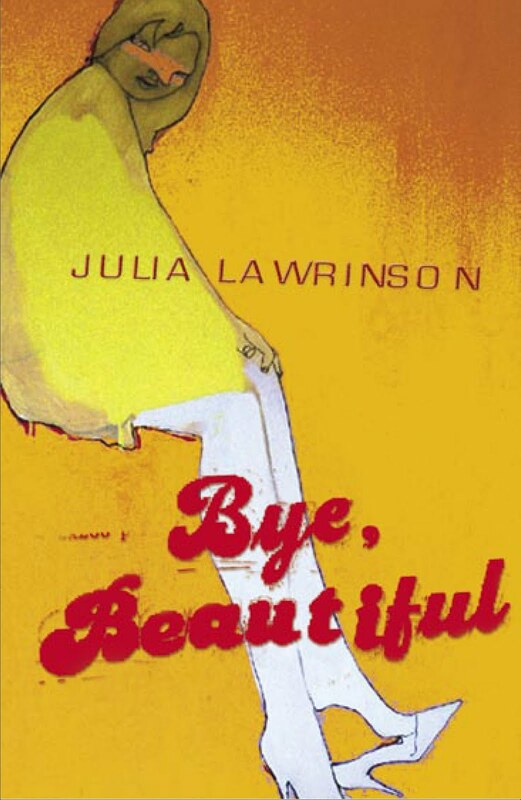 'Bye Beautiful' is a wonderful book which I've enjoyed greatly, once again thank you. Hi Julia, I met you a few weeks ago when you came to my school. We are doing an exam on ‘Bye Beautiful’ and this website has been very helpful to me as I could recall everything that you had said at the incursion. Thankyou! That is fab to hear, thanks Keely!